The word Cay means a small sandy island formed on the surface of coral reefs. 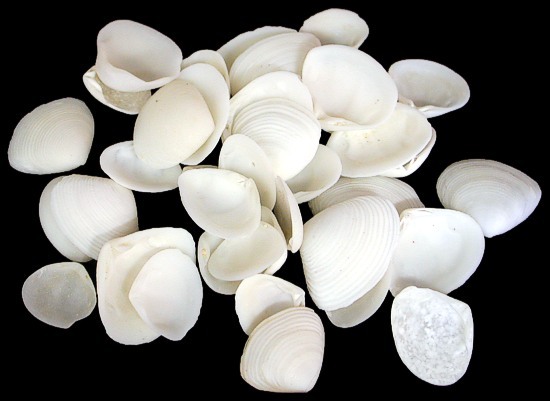 Cay Cay Shells occur in tropical seas throughout the Pacific, Atlantic and Indian Oceans. 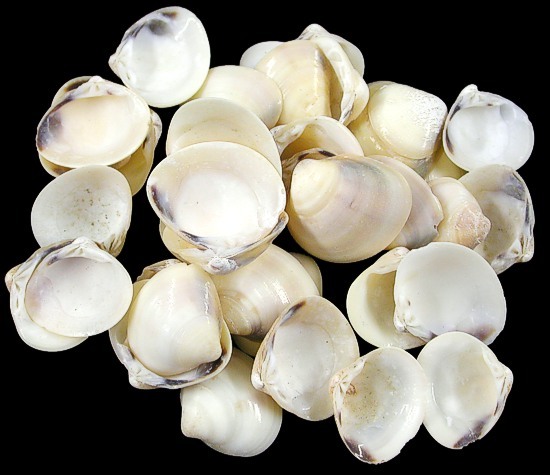 Cay Cay shells are bivalves. This listing is for single White Cay Cay shells, not matching upper and bottom shells. Cay Cay scientific name. Atactodea Striata. Habitat. tidal zone across the Indo-Pacific region. They are considered a surf clam. 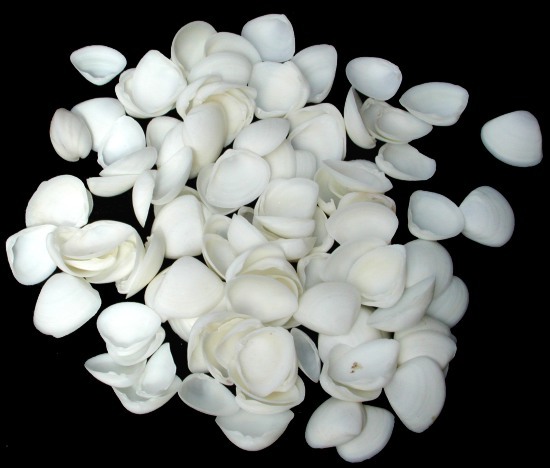 Snow White Cay Cay shells have been dyed snow white. They are bivalves sold as singles rather as matching top and bottom shells.